“Living religious life inter-religiously” and “Dreaming an inter-religious life” may appear striking and provocative. 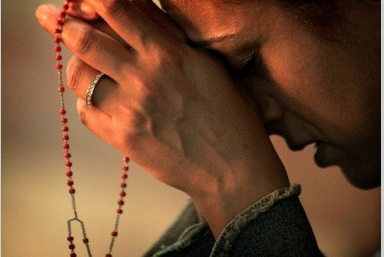 Why is it not enough to affirm that religious life must be simply “religious”? Why to add that it is called to become “inter-religious”? Some people will find this proposal dangerous or ambiguous to say the least. To be “interreligious” implies to renounce to the traditional traits of religious life and to enter into a new form without a clear identity. That this title is provocative is confirmed by the concerns and the suspicions that the theology of interreligious dialogue arises in the hierarchy of the Catholic Church. Let us call to mind the declaration of the Congregation for the Doctrine of Faith “Dominus Jesus: On the Unicity and Salvific Universality of Jesus Christ and the Church” (2000). The purpose of that declaration was to avoid in the Church any sort of interreligious relativism. That is why we must ask ourselves again: Why do we dream of an interreligious life? What is the main reason for such a dream? Dreams come out in times of chaos and crisis. They have creative powers and are able to arise new visions, to anticipate a new future. When dreams become true, perhaps is not yet the clear light of the day, but really the dawn is coming. My conference will be divided in three parts: 1) The situation: the need of an inter-religious or inter-faith dialogue; 2) theological discernment about that kind of dialogue; 3) Perspectives for religious life. There are many reasons forcing us to enter into a new stage in the history of humanity, of the Church and of the Religious Life. This stage can be called interreligious one. The main reason is simply this: our planet needs peace and care, and unfortunately our history has been and it is still a history of wars, violence and destruction. Religions with their holy books, moral teachings and rites, have not been able to bring about peace; rather, they have contributed too much to this state of violence. It is well known the theory of “the Clash of Civilizations”, proposed by the political scientist Samuel P. Huntington, that people’s cultural and religious identities will be the primary source of conflict in the post-Cold War world. We can discuss about that theory; nevertheless, the real thing is that peace on earth is threatened and many times broken by the clash between religions. Facts of religious violence happen everyday along the whole planet, but especially in some areas. There is an important amount of articles and books written, referring how this violence is evolving but never stopping. Among the different reasons for the collusion of religions, there is one that the thinker and theologian René Girard has studied and explained with success but also with controversy: “the violence and the sacred”. Girard proposes that much of human behavior is based on the desire of acquisition and appropriation of the object of imitation o mimetic behaviour. When two individuals desire the same object and attempt to obtain it, their behavior becomes conflictual and violence is generated. Violence prepares men’s bodies for battle. Through their subconscious impulses to destroy each other, they refocus their conflict outward: the scapegoat, a victim that it is vulnerable and close at hand. They consider that the victim is the cause of all their problems; for that the victim has to be murdered. When this victim is murdered, the violence in the community seems to ‘`magically” cease; but the peace achieved by the scapegoating process is not lasting. The process itself only lays the seeds for future violence. Girard claims the origin of religion is rooted in violence. The violent practices in many religious traditions (sacrifice, inquisitions, crusades, self-mutilation) are self-evident. This violence of the sacred was revealed and unmasked by God, through the death of Jesus, that it wasn’t a sacrificial atonement, with no sacredness about it: it was a simple murder. In the death of Jesus was revealed to us what are the roots of human violence and the ultimate failure of all of our violent methods. That means, that while mimesis has become the root of violence, Jesus calls us to “mimese” (to imitate) Him. Rather than imitating our neighbors and falling into the trap of desiring what they desire, we should imitate Christ, who imitates God. Jesus’s response to religious violence of the first century was often ignored, but it was never forgotten. Even during those centuries when the church herself persecuted Christian heretics, Jews, and Muslims, some Christians still struggled to bear witness to the peace mandate of their Lord. Religious violence and violence against Religions has brought destructions to people, places, animals. To identify religion and violence is not right. The perspective of Girard is certainly controversial, but it is a serious warning against all kind of fundamentalism and violence in religion. It helps us to re-interpret religion from the perspective of the victims. We are aware in this time –better than never- that the religious experience has not to be connected with violence. The “spirit of Assisi” has manifested how the religious leaders of the main religions are absolutely interested in peace and interreligious dialogue and how they defend the religious freedom in all the countries of the earth. The first expansion took place when individuals got together with other individuals to form a tribe and from here came the tribal identity. The second expansion was when individuals got together with other groups of individuals in a nation-state; thus creating a national identity. The third expansion was when very different nations got together, thus creating a trans-national, international identity. The fourth expansion will come when our consciousness will become planetary. We are then in the process of moving towards the fourth expansion of consciousness s: a new vision into which are integrated human beings, animals and the environment, that is to say, the global ecology of our planet. it becomes possible thanks to new virtues such as hospitality towards all human beings, compassion towards all manifestations of life, humanness against all forms of slavery, equality in face of all kinds of despotism, shared prosperity and reciprocal respect for the dignity of the person and life. It reveals to us that there is no reason for a human being to be the enemy of another human being. We have given ourselves an artificial identity which is not real. Our identity is not only “national” beings with frontiers, defending it with wars and weapons. Our identity is planetary, global. We are world citizens. We are led to exclude from the planet weapons and their manufacture, to put an end to a world bank at the service of greediness of the individuals and nations and set up another one truly responding to the basic need of all. It advocates the integration of all and not a homogenisation. The planetary model tries to articulate the difference and build a humanity which is in solidarity and balanced in a dynamic way. Against the single, uniform thought it proposes the alternative of a single integrating thought. This planetary view calls us to learn to integrate diversity in a critical way. It is only in this way that we will be able to put an end to violence. A horizon of hope opens up here for humanity. If we respond in an adequate way, “another world is possible”. This is the context in which we are dreaming an interreligious life. We are called to abolish all kind of violence, to be at the side of the victims, to imitate the non-violence of Jesus. We are called, on the other hand, to become mediators of peace, or interreligious peacemakers. This happens by means of a dialogue of heart, of feelings, and of life. We, religious, are especially equipped for this interreligious dialogue. The memory of our monastic roots, our ascetism, our permanent reference to the Holy Mystery, makes us people fitted for the dialogue of life with other religious traditions and confessions. Beyond a dialogue at the theoretical level of beliefs, dogmas and ideas, we can commit ourselves to a dialogue of faith, of religious and mystical experiences, of compassion and charity. 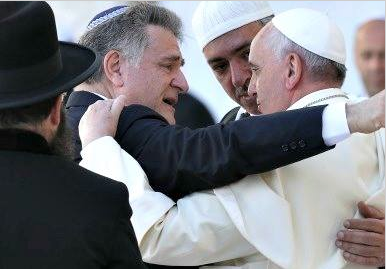 The interreligious dialogue is indispensable to reach peace in the world. Following Hans Küng affirmation “no peace among the nations without peace among religions”, we can add “no peace among religions without the mediation of women and men religious” in a inter-faith dialogue. Inter-faith dialogue becomes an essential element of mission. There has been a recent change in terminology from “inter-religious” to “inter-faith” dialogue. And advantage of the new terminology is that the emphasis is placed on “faith” rather than “belief”. There is a second moment of dialogue: it is like an intra-faith soliloquy, in which we internalize what we have learned and experienced from dialogue of life, of faith. The result will be and expanded human and religious consciousness. So we are also in a new expansion of religious consciousness. In it we do not renounce to our own faith but we open our minds and hearts to new horizons; we try to respect others in their own otherness. Dialogue, understood in such a way, as inter-faith dialogue, is one of the main issues in our times. The Catholic Church is aware of that and she is asking us to practice dialogue at four levels: dialogue of life, dialogue of action, theological dialogue and dialogue between religious and mystical experiences. The expansion of the religious consciousness is a factor of peace, of understanding among all the human beings. 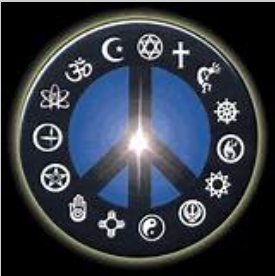 Religions, like peoples and cultures, are in an ongoing growth (R. Panikar). Religions change and grow, when they establish interfaith encounters of partnership, and enter in contact and perhaps in contrast with other religions or forms of faith. From this perspective, mission it understood as “missio inter gentes”. In the perspective of violence, mission was understood as “missio contra gentes”. That is the concept of mission of the fundamentalists. Without a radical rethinking of what mission is for, how it is to be carried out, with whose participation as partners, and what goals it seeks to achieve, it would be impossible to resolve the tension between dialogue and mission. The world has never been in greater need of both mission and dialogue as today. But the nature of that mission and the kind of dialogue that we need to carry this forward has yet to be discovered. We, religious women and men, are called to be involved in the inter-faith dialogue. But this does not happen automatically. We have to take care of the deepening of our life of faith. Our mission is not just to admire the other faith, but to share with them our experience of faith. Our hospitality of mind will allow us to be enriched with other experiences of faith. Then, our responsibility will lead us to internalize in an intra-dialogue what we have received. So our religious consciousness will be expanded and prepared for a new understanding. Why have we to dream an interreligious life? Because dreaming belongs to our experience of hope. A fundamental question of hope is: Where are we going? What do we hope for? Who hopes in us?”. The Marxist philosopher Ernst Bloch wrote a wonderful work in three volumes entitled “The Principle of Hope”. Bloch looks at the human being overwhelmed by fear and anxiety. Fear narrows down vital space. Hope gives breadth. The human being needs to learn the art of hope. Hope emerges in our dreams. There is no human being who does not dream. There are night dreams and day-dreaming. Night dreams send us back into the past. Day-dreaming opens to us the path of hope. It becomes necessary to intensify day-dreaming. The day-dreaming invades us from all sides. Life is criss-crossed by all these dreams of a better life. Dissatisfaction is a part of hope. There are many utopias in the day-dreaming of humanity: one is a society in inter-faith dialogue. The presence of the Kingdom of God in the midst of us is the source inspiring all our open eyes dreams and our creativity. The vision of a happy, just, free or redeemed world gives energy to the present, gives significance to the struggle and the way. Dreamers like Joaquim of Fiore envisioned a Church of total communion between all the different states of life. Dreamers, like some theologians of the interreligious dialogue, a dreaming a trans-religious world in which all are in communion under the active presence of the Spirit. Our question now is: Is it the will of the Holy Spirit that this dream becomes true? Theology of dialogue is Spirit-centered theology. She is the principal agent of the whole mission of the Church (RM, 21). The Holy Spirit is not clearly the monopoly of the Christian churches; the Spirit is present in people of other faiths. Moltmann particularly points out that Yahweh’s ruah is present in everything. A similar understanding of the Spirit as breath and life-giver can be found in the Asian concept of Chi. The Spirit is the very presence, the real presence of God, God-with-us, of the Risen Lord, Jesus-with-us. Although the Spirit in Christianity is not equated with an immanent and impersonal force, Jesus does say, “the wind blows where it wishes and you hear the sound of it, but we do not know where it comes from and where it is going” (John 3:8). It is important to recognize the similarities between the Holy Spirit and other of her manifestations. With this acceptance, it is then crucial to accept and welcome the Other who have different forms of expressing the same reality. The power of the Spirit can help build bridges that have been torn down by ignorance and dominance. The destructive powers of separation can be overcome through the Spirit. If God the Father and Jesus the Lord dwell within us through the Holy Spirit, it makes a difference in how we live, treat others and nature. “The Spirit’s presence and activity affect not only individuals but also society and history, peoples, cultures and religions… The Risen Christ ‘is now at work in human hearts through the strength of his Spirit’… Again, it is the Spirit who sows the ‘seeds of the word’ present in various customs and cultures, preparing them for full maturity in Christ”. The Spirit aids our perception, sharpens our self-awareness, and reminds us of others who need our love and service. It is a spirit that bonds and pulls humanity closer with all other living creatures. It will sustain us and keep us aware of our interconnectedness and inter-reliance. A global understanding of the Spirit will work towards eliminating injustice and racism within society, open doors for interreligious dialogue, and make the world a better place for all those who inhabit it. Catherine Cornille first presumes that we are all for dialogue. Then she lays out the fundamental virtues engaging in dialogue. There are five: humility, commitment, interconnection, empathy, and hospitality. The practice of these will lead one to confront, and to revise the theological issues. Humility flows from the recognition that the truths we know are part of a Truth (with capital letters) that we can never fully know. So humility makes space for the necessity of learning from the other. Without commitment to one’s own tradition, dialogue becomes either New Age syncretism or interreligious tourism. If dialogue is a genuine exchange, one must have some goods to exchange. Commitment must not just allow, but facilitate openness. Amid the splendid diversity of religions, there is something that interconnects them. But the theological-philosophical question is: how to understand this ground of interconnection? how to describe it without imposing it? Our approach to other religions requires empathy. We cannot look at them simply from the outside; we have to somehow step into them. Catherine calls hospitality “the sole sufficient condition for dialogue,” and understands it as “an attitude of openness and receptivity to . . . the possible truth” in the religious other. Dialogue can happen only between friends. And friends do not rank each other as superior or inferior; among friends there is mutual learning and mutual challenging. The virtue of hospitality focuses the theological problem that hovers over all the other virtues: what friends avoid, religions have traditionally proclaimed, namely, assertions of finality, superiority. Our tradition in Christianity and Judaism honors the sacredness of creation, esteems women and feminine values, embraces the arts, prizes love, wisdom, prophesy and mysticism, and seeks to bring about gender, social and ecological justice. It affirms the presence of divinity in all things, ensuring that the world and human beings are basically good and holy. This is a very good starting point for an inter-spirituality of dialogue. How to deepen this understanding of creation spirituality in the world’s religions and to begin a cultural translation of it? Inspired by Meister Eckhart’s mystical vision, the theologian Matthew Fox identifies four major ways connecting people to divinity in and beyond the world. The first path, the via positiva, is encountering divinity through experiences of awe and delight in the cosmos. The second path, the via negativa, is encountering divinity through experiences of loss, suffering, darkness, and the emptying out of the self. The third path, the via creativa, is meeting divinity through creative activity, especially through contemplative approaches to the arts. The fourth path, the via transformativa, is becoming an agent of divinity by using one’s creative energy to transform self and society through acts of compassion and justice. The four paths are interconnected; they are more like facets of a single prism or aspects of a complex symphony..
We need the courage of an interfaith and ecumenical vision, for the sake of a greater spiritual vision and practice of diversity- in-unity. An inclusive interfaith vision requires some degree of acceptance and reconciliation with persons, peoples and groups who held radically different views. We have to continually challenge us to become mystics, prophets and creative agents of change in our own way of life. This means getting in touch with the sacred calling at the heart of our call and mission and reinventing our mission so that it served that calling. We have to revision our formation and education to serve our pluralistic world. We have to learn how to perform interfaith ministries. Inspired by Didier Pollefeyt I would like to finish my reflection with some words about the interreligious formation. The growth of secularisation, pluralism and globalisation has placed our traditional monoreligious formation and education under pressure. We have to try to give an answer to this question of multireligiosity by developing a multireligious concept of religious formation. This approach distinguishes itself from monoreligious formation. Religious formation thus becomes a place of encounter and dialogue between different religious convictions. Interreligious formation distinguishes itself from the multireligious model of formation; in the interreligious model of formation religious are not only informed, but are introduced to the cognitive and value commitments underlying the different religions, giving them the opportunity to enrich and develop their own personal religious identity. The interreligious model aims to a formation that invites religious to hold a proper religious identity while having an openness to the religious other. What is more, that authentic religiosity is able to welcome the other in his/her vulnerability and strength as a witness to God. This is a new paradigm for religious formation and education what we have to rediscover. We have not to be afraid of an interreligious life. It is there no risk of losing our identity traits. Our vocation comes from the Holy Spirit. She opens our hearts, minds and lives to a friendly dialogue with sisters and brothers of other religions and faiths. We are challenged to deepen our experience of faith, even to enter into the mystical stage of our spirituality. Every path of spirituality ends in the same point: in the new Jerusalem, the city of all, the city in which everybody is called to feel at home, in covenant with God, the Abbá – Jesus the Lord, the Holy Spirit, with all the creation, with all human beings. We need to learn more and more the art of “inter-religiosity”, of inter-faith, of inter-formation. The Christian apocalyptic looks on the present world with hope in the success of the Covenant of God with humanity and nature. It judges the present from the point of view of redemption. This point of view allows us to see the present, its dissatisfactions and its frustrations, as “groanings while waiting its full realisation” and not as a fateful misfortune. The profane order tends towards pessimism. The messianic order revolutionises not as a passive expectation of something big which will happen but as a present demand of something which will be given us. We, religious, experience that we have to renew our Covenant with God, whit all peoples, with the earth in this time. The way is to become interreligious and to welcome in us a new and a deeper identity. Cf. Among the many books and articles written on this topic, I present here some of them, in which is presented violence in different religions and areas of the globe: Al-Rasheed, Madawi, and Marat Shterin, eds. Dying for Faith: Religiously Motivated Violence in the Contemporary World, London: I.B. Tauris, 2009; Cavanaugh, William T., Torture and Eucharist: Theology, Politics, and the Body of Christ, Malden, Mass. : Wiley-Blackwell, 1998; Id., The Myth of Religious Violence: Secular Ideology and the Roots of Modern Conflict. New York: Oxford University Press, 2009; Cooper, Terry D., Dimensions of Evil: Contemporary Perspectives. Minneapolis: Fortress Press, 2007; Crockett, Clayton, ed., Religion and Violence in a Secular World: Toward a New Political Theology, Charlottesville, VA: University of Virginia Press, 2006; Eagleton, Terry, Holy Terror. New York: Oxford University Press, 2005; Ellens, J. Harold, ed. The Destructive Power of Religion: Violence in Judaism, Christianity, and Islam, 4 vols. Westport: Praeger, 2004; Fernandes, Edna, Holy Warriors: A Journey into the Heart of Indian Fundamentalism, New Delhi: Viking, 2006; Ganiel, Gladys, Evangelicalism and Conflict in Northern Ireland, New York: Palgrave Macmillan, 2008; Gray, John, Black Mass: Apocalyptic Religion and the Death of Utopia, New York: Farrar Strauss Giroux, 2007; Hall, John R., Philip Daniel Schuyler, and Sylvaine Trinh, Apocalypse Observed: Religious Movements, and Violence in North America, Europe, and Japan, London: New York, 2000; Hinnells, John, and Richard King, eds. Religion and Violence in South Asia, New York: Routledge, 2006; Isherwood, Lisa, and Rosemary Radford Ruether, eds. Weep Not for Your Children: Essays on Religion and Violence, London: Equinox, 2008; Jefferis, Jennifer L., Religion and Political Violence: Sacred Protest in the Modern World, London: Routledge, 2010; Maguire, Daniel C., and Sa’diyya Shaikh, eds. Violence Against Women in Contemporary World Religions: Roots and Cures, Cleveland: Pilgrim Press, 2007; Nussbaum, Martha, The Clash Within: Democracy, Religious Violence, and India’s Future, Cambridge, MA: Belknap Press, 2007; Pahl, Jon., Empire of Sacrifice: The Religious Origins of American Violence, New York: New York University Press, 2010; Palmer-Fernandez, Gabriel, ed. The Encyclopedia of Religion and War, New York: Routledge, 2004; Selengut, Charles, Sacred Fury: Understanding Religious Violence, 2nd ed. Lanham, MD: Rowman & Littlefield, 2008; Timmerman, Christiane, ed., Faith-based Radicalism: Christianity, Islam and Judaism Between Constructive Activism and Destructive Fanaticism, Bruxelles: Peter Lang, 2007; Wicker, Brian, ed., Witnesses to Faith? : Martyrdom in Christianity and Islam, Burlington, VT: Ashgate, 2006. In the list of posible victims Girard enumerates the following: children, old people, those with physical abnormalities, women, members of ethnic or racial minorities, the poor, and ‘`those whose natural endowments (beauty, intelligence, charm) or status (wealth, position) mark them as exceptional. Several world religions point to diverting our normal human desires to supernatural spheres, rather than on material things. Another application of mimesis is that rather than following an acquisitive mimesis, theorists have proposed that we capitalize on the Social Learning Theories and try to divert mimesis to positive ends, like consciously modeling constructive and reconciliatory behaviors: cf. Swartley, ed. Violence Renounced: Rene Girard, Biblical Studies and Peacemaking, 2000. René Girard, La violence et le sacré, ed. Bernard Grasset, Paris 1972; R.E.S. Tanner, Violence and Religion. Cross-cultural opinions and consequences, Ashok Kumar Mittal, New Delhi 2007. Excelent description of interreligious violence in this time. Those who have organised the world have done so for their own growth, to feed their greed, their ambition and their profit. These powerful people have become insensitive to the cries of the earth and of the human beings dwelling on it. The emperors, drunk with power, play their harps while the world falls into ruin: cf. Eudald Carbonell, El nacimiento de una nueva conciencia, Ara Llibres, Badalona, 2007, pp. 70-72. See two excellent pontifical documents of the pontifical Council for inter-religious dialogue: “Dialogue and Mission” (1984) y “Dialogue and Proclamation” (1991). Cf. Ernst Bloch, El principio Esperanza, 3 vol., Biblioteca Filosófica, Aguilar, Madrid, 1977 :vol 1, p. XI. He speaks of night dreams -thus translated by Freud also!- born from the past. On the contrary, day dreams, with open eyes, look to the future. There are open-eyed dreams that are pure evasion and which avoid the confrontation with reality. But there are others where the imagination is the instrument of the thought and the projects. Paul S. Chung, “The Mystery of God and Tao in Jewish-Christian-Taoist Context” p. 243-266 in Asian Contextual Theology for the Third Millennium: Theology of Minjung in Fourth-Eye Formation, edited by Paul S. Chung, Veli-Matti Karkkainen, and Kim Kyoung-Jae, Pickwick Publications, Eugene 2007; Admiel Kosman, “Breath, Kiss and Speech as the Source of the Animation of Life: Ancient Foundations of Rabbinic Homilies on the Giving of the Torah as the Kiss of God”, in Self, Soul and Body in Religious Experience, edited by A.I. Baumgarten, J. Assmann, G.G. Stroumsa, Brill, Leiden, 1998. Nevertheless the vatican document “Dominus Jesus”, n. 12, advises about a danger: “There are also those who propose the hypothesis of an economy of the Holy Spirit with a more universal breadth than that of the Incarnate Word, crucified and risen. This position also is contrary to the Catholic faith, which, on the contrary, considers the salvific incarnation of the Word as a trinitarian event. In the New Testament, the mystery of Jesus, the Incarnate Word, constitutes the place of the Holy Spirit’s presence as well as the principle of the Spirit’s effusion on humanity, not only in messianic times (cf. Acts 2:32-36; Jn 7:39, 20:22; 1 Cor 15:45), but also prior to his coming in history (cf. 1 Cor 10:4; 1 Pet 1:10-12). Cf. Catherine Cornille, The im-possibility of interreligious dialogue, Crossroad, New York, 2008. Esta entrada fue publicada en English Texts. Guarda el enlace permanente.